Awarded to the writer/s ‘whose work has been deemed most original and influential.’ The award includes a week-long residency, manuscript appraisal and mentoring. 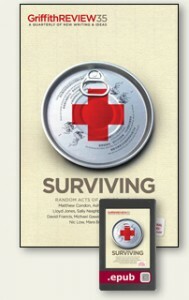 ‘Ear to the Ground’, Griffith Review 35: Surviving, February 2012. A long essay looking at the Christchurch earthquakes and their aftermath. What happens when a series of radical events strike a conservative place? ‘Ear to the Ground’ , Sunday Star Times (NZ), Sunday 19th February 2012. A 2500 word extract from the longer Griffith Review essay, focussing on the destruction of Christchurch’s conservative heritage. 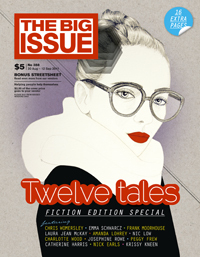 ‘Slick’, The Big Issue, Annual Fiction Edition , October 2011. Short fiction about an oil slick, the world’s most ambitious advertising campaign and the Second Coming. Check out an extract published on Arts Hub. 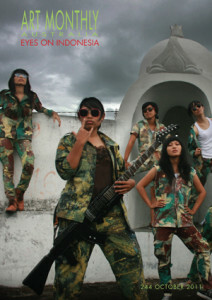 Art, punk and politics contemporary Indonesia. ‘Balloon and Hyung-seok and Bo Yeon and Seoul city rolling’, Cordite Poetry Review, issue 35:2, August 2011. Reportage about a three-day, three-night tour of the underbelly of Seoul: red light districts, abandoned industrial precincts, Mongolian worker districts and the Gate of Corpses; and the resulting collaboration between Australian writers and Korean architects and designers. Funding towards a full year’s writing development. Incredibly useful! 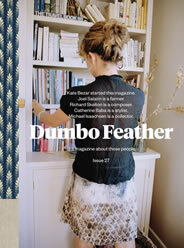 ‘New Zealand Creative Immigration’, Dumbo Feather, issue 27, April 2011. 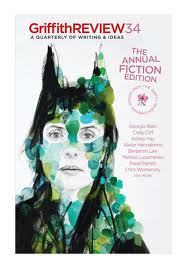 ‘New Matilda and the future of publishing’, Dumbo Feather, issue 27, April 2011. Crowd sourcing and writing; why so many creative New Zealanders live overseas, and what might happen if they all moved home.